Learn how to add languages to Primavera EPPM that are not included by default. Oracle Primavera EPPM includes a default set of languages. However, this default set of languages omits some regions, including Saudi Arabia, Indonesia, and Malaysia. Clients in these regions need to be able to use their dialects and languages in Primavera. 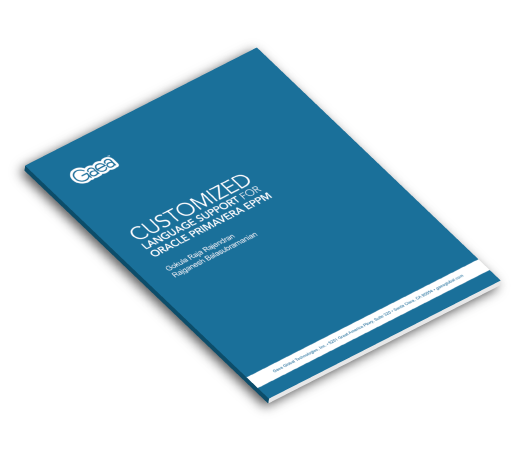 This guide discusses and shows how to customize Primavera EPPM to support non-default languages in order to enable an increase in application adoption and usage, and a reduction in the cost of training.